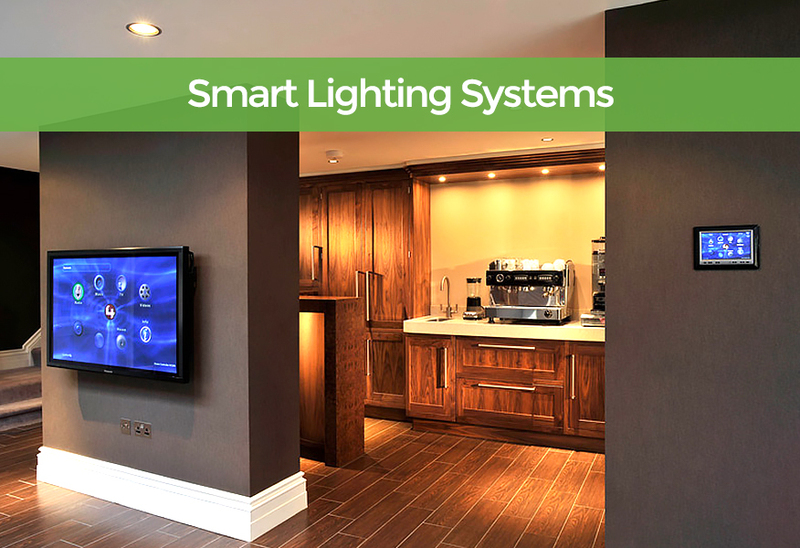 Smart Lighting Systems add elegance, ambiance, convenience and energy efficiency to your Dorset home. They can also make your home appear occupied while you are away, raise or dim any light in the room or the entire home with a single touch or even using your voice, and have your lighting respond automatically to how you live. Get started with the magic of Smart Lighting Systems in just one room for starters, or brighten up your entire home during renovation or new build. LED Lighting provides sophisticated style in different colour configurations, guaranteed to complement your home. From your smart device, or the control panel, control more than just lighting – including music, movies and more – with the touch of a button. Turn on or off multiple rooms, or the entire house, with one tap. Motion sensors provide hands-free illumination and automatically turn off lights when no one is in the room. Your home can even alternate lights to appear occupied while you’re away. 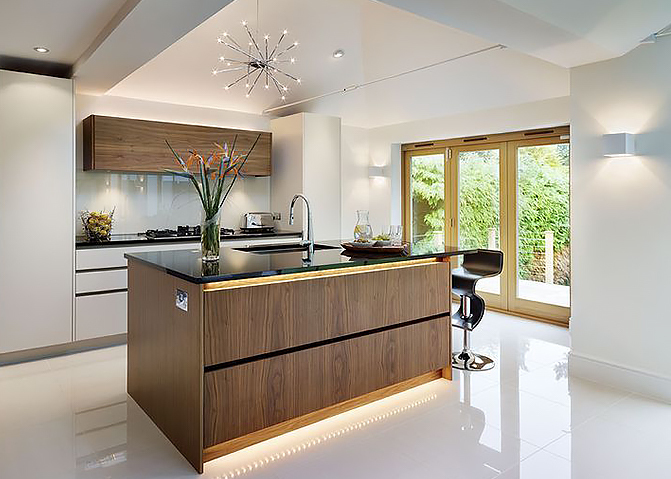 Perfect for those building a new home or undertaking a remodel, centralised lighting allows you to move your lighting controls elsewhere, like a cupboard, allowing you to replace banks of switches with stylish and elegant keypads. Button personalisation enables one-touch control of lighting of course, but also entertainment, security, climate and more. Read more about Home Automation here. Smart LED lighting knows no boundaries. From under your roof to under the stars. Activate a lighting scene that lights up the deck and accentuates water features in the Dorset garden. Exterior lighting can turn on-and-off in unison with the sunrise and sunset. Set perimeter lights to flash if the alarm system is triggered, drawing attention to unusual activity.